The holy incorrupt left hand of St. Mary Magdalene the Myrrhbearer will be brought from the Monastery of Simonopetra on Mount Athos to the Athonite dependency, the Church of the Ascension in Vyrona, Attica, from October 23rd to October 26th. Preceding this, the holy relic will have been brought to Trikala to the Holy Church of St. Athanasios Mparas, from October 18th to October 22nd. This is especially pertinent for any women, children, or others who would be unable to visit the Holy Mountain to venerate this great spiritual treasure. 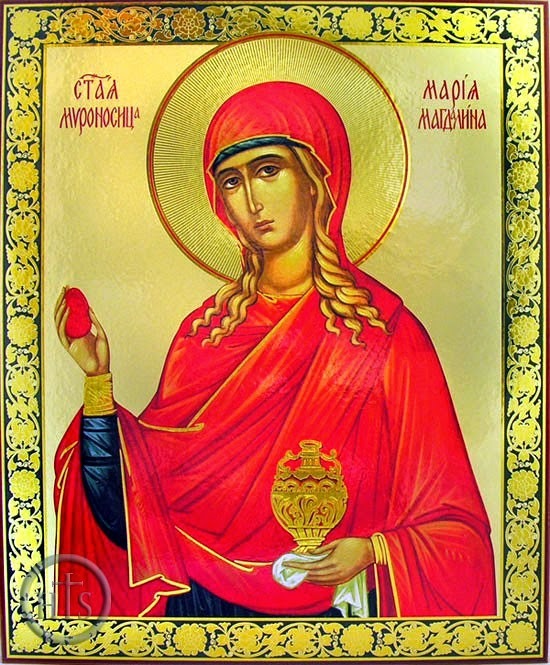 For those who do not know, the hand of St. Mary Magdalene is incorrupt to this day, is often wondrously warm as if she were still alive when venerated, and works many miracles. 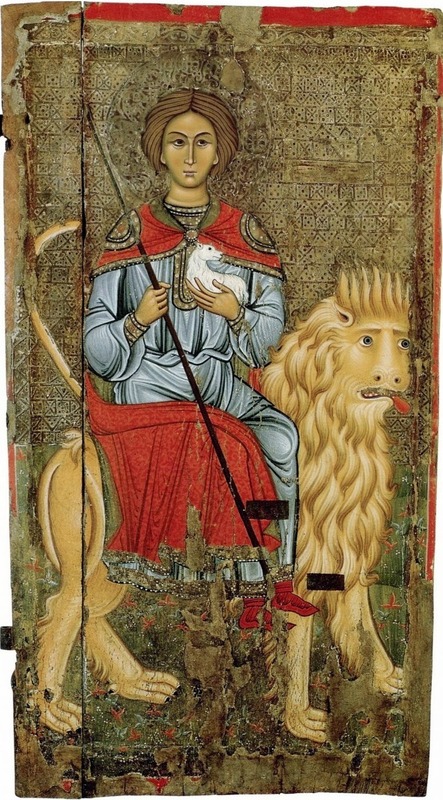 Her presence in the Monastery of Simonopetra is so palpable, that she is considered one of the co-founders and protectors of the Monastery. For any who are in Greece, and able to go venerate, please take advantage of this opportunity! Possibly more than the great wonders of his life, it is perhaps the obedience, humility and love of St. Porphyrios towards God and his fellow men that most clearly identify him as one of the great Saints of our days. If the Saint called himself a sinner (using Christ as his criterion for perfection) woe to us all, who love to constantly roll in the mire of sin! May we have his blessing! "I am not a wizard, I am not a prophet. I don't say that I saw the Panagia, or that there will be a war. I am a great sinner, and I humbly pray to Christ, that He have mercy on me." In the 7th century, the Precious Cross was exalted festally in Jerusalem, so that it could be seen and venerated by the all the people. In memory of this, the celebration of the exaltation of the Cross is performed every year on September 14th in parish and monastic churches. This uplifting, however, is external. There is, let us say, a spiritual Exaltation of the Cross, which occurs within the heart of man. When? When someone steadfastly decides to allow himself to be crucified, putting to death his passions. Whoever does not do this is truly not a Christian. The Apostle says this utterly clearly: “And those who are Christ's have crucified the flesh, with its passions and desires” (Galatians 5:24). Those, in other words, who are Christ's, have crucified their sinful selves, together with their passions and desires. 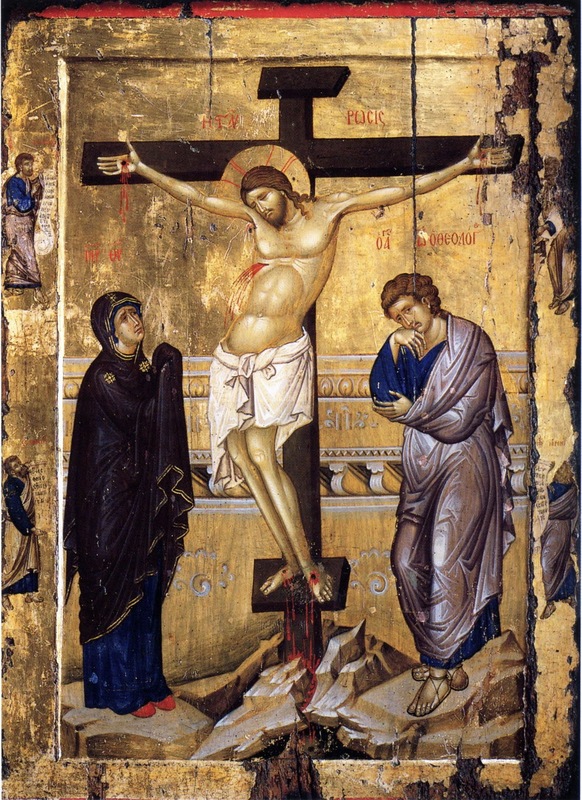 After they took down the dead Body of Christ, the Precious Cross remained on Golgotha. The Judeans took it and threw it unto a garbage heap. After the Resurrection of the Lord, again, they did not hesitate to fill His All-Holy Tomb with stones and dirt, in order to hide it. Ultimately, when the Romans conquered during the revolt in Jerusalem in 70AD, they razed the city and its surroundings. And later, when they rebuilt it, in the place where the All-Holy Tomb was, at the inspiration of the enemy [i.e. the devil], they built a temple to Aphrodite, the idolatrous goddess of immorality. 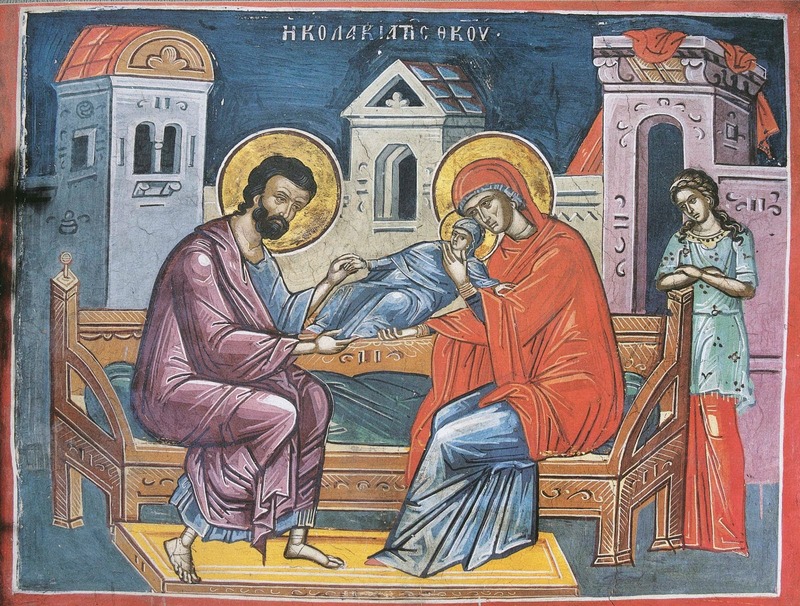 Therefore, the world is not worthy of these truly blessed birthgivers of the Mother of God, for through them, the Prophets were shown to be true regarding the incarnation of Christ. The Apostles, through their daughter, were shown to be sons of the Light, the Saints, for they martyrically were crowned, the Venerable and Righteous, as the inheritors of the good things to come, the sinners, as those shown mercy through the intercessions of the Ever-virgin Theotokos. Hail, O all-sacred Father Joachim, our hope after God, through the grace of the fruit of your loins. Hail, O all-precious Mother Anna, the Mother of our life; glory to your womb. Hail, O Father, tiller of many-seeded offspring. Hail, O Mother of our salvation. Hail, O Father, servant of the heavenly cluster of grapes. Hail, O Mother, the good earth which yielded fruit a hundred-fold. Hail, O Father, the sower of the spiritual paradise. Hail, O Mother, the rock containing the pure emerald. Hail, O Father, who opened the life-pouring spring. Hail, O Mother, who was refreshed of the thirst for the bearing of children. Our mouth is filled with the hymning of your excelling holiness. But we are not worthy even to hymn this godly pair, if it were not for the voice of Christ, their grandson according to the flesh, who even more greatly hymns them, saying: “Rejoice and be glad, for your reward is great in the Heavens.” For you, O Saints, because of your bareness, were disdained, and heard evil words, but after a short time, you rejoiced with the bearing of a child. And it is sufficient to praise you, as you bore the Mother of God. For truly, as worthy and Righteous ones, you were ordained to give birth to the Theotokos, and become the ancestors of Christ, according to the flesh. Hail, O Mamas, the champion of the Lord who is worthy-to-be-praised, for even before your birth, your mother dedicated you to the Lord, like Jeremiah. You were born in the prison in which your parents gave up their souls to the Lord. Hail, O Mamas, for as a chosen one of God, an Angel of the Lord led Matrona to take you from the prison, and to raise you, and to bury the bodies of your parents with honors. Hail, O thrice-blessed one, for as Moses received the Law and Staff to lead the people on Mount Sinai, you, having fasted on the mountain of Caesarea for forty days in imitation of Moses, received the Staff and the Gospel, for which the wild animals were obedient to you, revealing thus the former authority which the Forefather [Adam] had [before the Fall]. 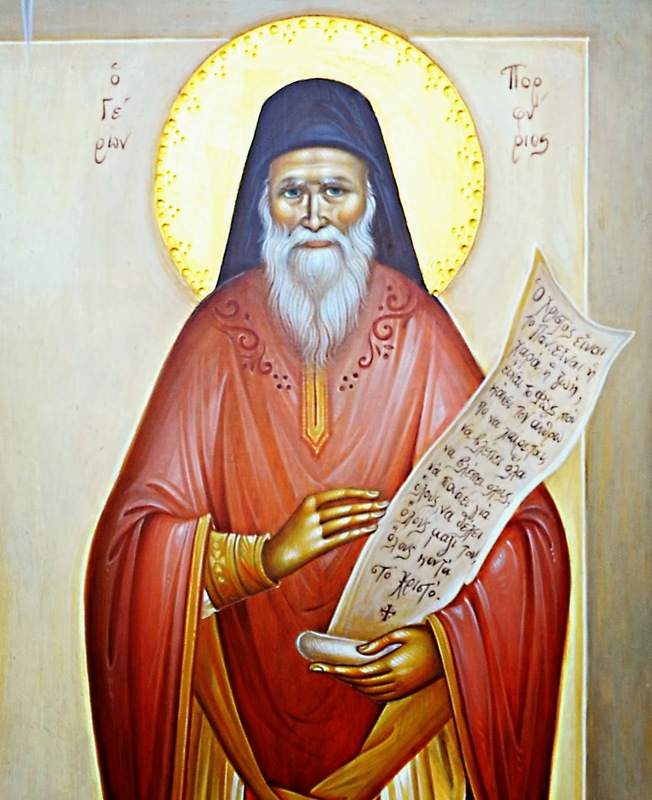 Hail, O greatly-suffering Mamas, for unjustly you were condemned as a wizard to the atheist and lawless tyrant Alexandros, whom who censured, presenting yourself as a godly-minded servant of Christ, not having any relationship with wizards. 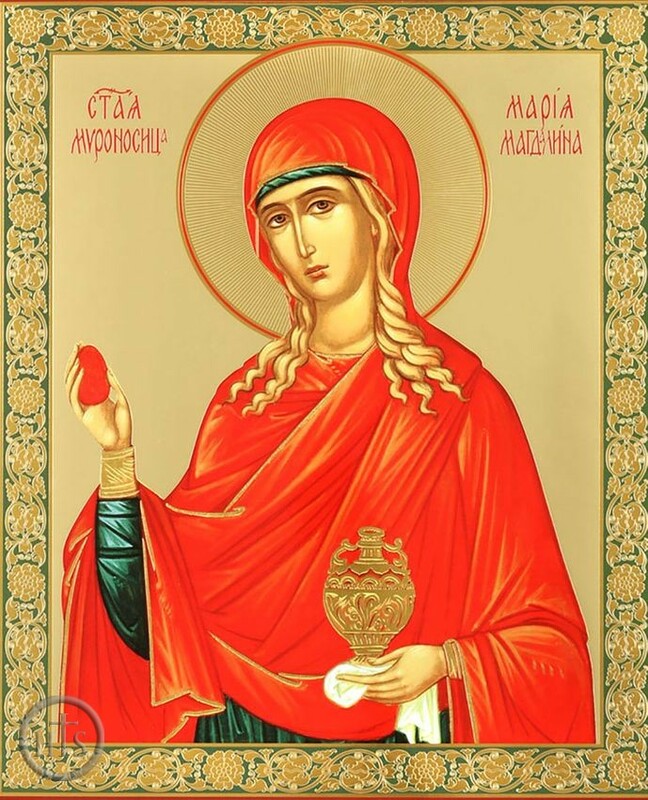 Hail, O Mamas, the Martyr of Christ, for you tamed the wild beasts, which were left before you, and having conquered the various tortures, you were shown to be a surpassingly-bright martyr of Christ. Did you hear, my brethren, today's Gospel? He spoke to us regarding He Who descended and ascended: descended to the deepest depths, to Hades, and ascended to the greatest height, to Heaven. He spoke to us about God. But what is God? Once, they say, there was a king who was tortured by the thought: “What is God?” He called a great wise man and asked him: “What is God?” The wise man asked for three days to ponder this. He closed himself and began to study, but after three days, he was in no position to give an answer. Once, someone was tortured by the question: “What is God?”, as he was walking along the beach. “I am trying to empty the ocean into here” the child replied. This little child was an angel, and the man was one of the greatest Fathers of the Church, whose name I unworthily bear [i.e. the Blessed Augustine]. So far, therefore, no one has been able to give an answer to our question? But the answer which the wise men of this world cannot give, is given by the Gospel, which, unfortunately, we do not even read. What does the Gospel said, how does it answer our question? Open and search through the epistles of the Evangelist John, and there you will find the answer. Within are three words—what grandeur!--which solve the whole issue: “God is love”. (1st John 4,6,16). God is love! Let us glance, my brethren, at nature, at man, and at history, and we shall see the great love of God. All of nature and the whole universe were created by God, as the Apostle Paul writes: “Every house was built by someone, but they were all built by God.” (Hebrews 3:4) The house has its builder, but the world as its Creator. God created the world out of love, which even more clearly we see if we examine ourselves, man. He is the perfection of divine creation, a microcosm, a wonder of wonders. God made him to dwell on this planet with the animals, the birds, the sea and the fish for his service. He gave us everything, and above all, His love have us three gifts: the air, which we breathe every instant, the water, which waters everything, and the sun, which enlightens and warms and gives life. Without these, the animals and plants and man would cease to live. But what great love God has is shown by history. Look and see what God did on behalf of man. I am not saying this myself, today's Gospel said this: “For God so loved the world that He gave His only-begotten Son, that whoever believes in Him might not perish, but have eternal life.” (John 3:16) He sacrificed His only Child! How can I make you, my brethren, understand the great love of God? 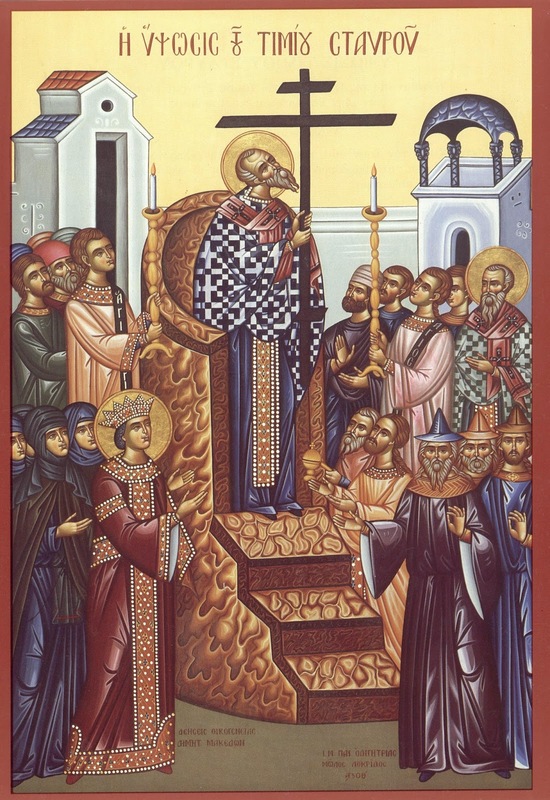 I would need a bit of the good tongue of the Chrysostom. If one of you were a father with an only child, he can understand this. You, the father of an only child, who loves him so much that at night when he sleeps, you place your hear on his chest and feel his breathing, what if I told you that the most mortal enemy of your family is endangering you, but that you could be saved if you opened the veins of your child to sacrifice him? I ask you, father, would you do it? But, my brethren, God did this. He sacrificed His beloved Son for us his enemies, who disobeyed His will. In the mountains, once after a battle, a gravely-wounded soldier died. He wanted to write two words one last time to his most-beloved person, to his mother. No one was near him to help him. He did not have a pencil. He only had his blood, which was pouring forth from his wounds. He took a piece of paper, dipped his finger in his blood, and wrote: “Mother, I love you.” When the soldiers came through to gather the death, they found this little piece of paper, and sent it to his mother. The love of God, however, my brethren, gives birth to requirements for man. We ourselves must show our love. Love is the Queen rules over the land of virtues. If we take a stone, and throw it into a lake, it makes circular ripples: small circles, larger ones, even larger ones, that reach the edge of the lake. Thus, love has circular ripples. Now, however, for meaningless reasons, families separate and dissolve. Besides our family, we should love our teachers, for if we must thank our parents for life, we must thank our teachers for our living well. Therefore, love your family, your teachers, your community and your country. But even more so, love the Church, the Priest with raso, who so much worked towards our freedom. The Church with our schools kept and preserved the treasures of the Spirit, and cultivated the idea of the Faith and Fatherland. If it weren't for the Priests, we would be wearing a red fez today [i.e. be muslim]. But above all else, my brethren, we must love God. Unfortunately, in our times, love has disappeared. What is the cause of this indifference towards God? Yes, my brethren, sin, and especially the sin of blasphemy, which is heard everywhere, within homes, on the streets, in the squares, in the marked and in the army. My brethren, I make a contract with you: if the people cease to blaspheme, we have nothing to fear. An electronic field with surround us, and whoever approaches will disappear into the air! Note: It seems that as the years progress, we are seeing more and more people afflicted with Depression, Anxiety, Bipolar disorder, Schizhophrenia, Suicides, and many other mental illnesses. Though the church fathers would not question that genetics, history of abuse, etc. and other things that one cannot control can affect one's mental health, it is clear that our society doubts the role that the passions, sins, demonic influence and temptations, and overall separation from Christ play in affecting our minds. Thus, while it may be help to seek treatment with therapists or psychiatrists, it is truly necessary that we open our hearts towards our Merciful Christ in repentance, for He is our Creator, Who ever loves us and gave Himself up for us all. 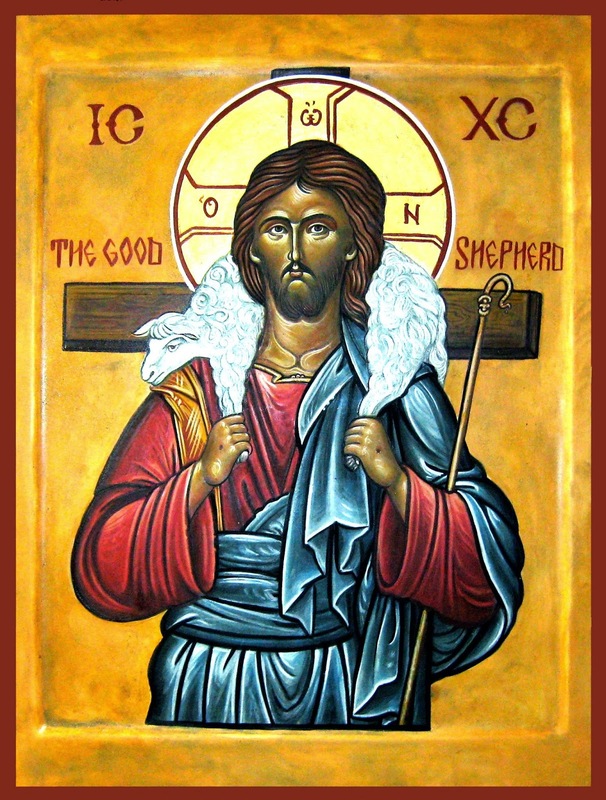 He is the Good Shepherd, Who seeks us out, the lost sheep, and places us on His shoulders, and brings us to the Father. Also see pages on Saints Gerasimos, Dymphna, Issac the Syrian and Ephraim of Nea Makri, whose intercessions or writings have been known to help people with mental illness. O Greatly-merciful Master, Lord Jesus Christ, the Physician of our souls and bodies, come and heal me, Your worthless servant. I have distanced myself from You, I have wounded Your Goodness and Love. I have sinned against Heaven and before You. I have worked all iniquity. I am utterly bed-bound, barren of every virtue and bodily or spiritual healthy. My body is sickened. My soul is afflicted. My spirit is weakened. My will has been overrun. Everything within me is drowned and suffers. I have descended to "the lowest Hades". Deliver me, O Lord, from the spiritual choking and the mourning in the depth of my heart, and the depression which rightly tortures me. I have worked all sins. These war against me. These have placed upon me this unbearable torture. Have mercy on me, O Lord. I, alone, am responsible for this desertment and destruction of my soul and body. Egotism has ruled over me. Negligence has enslaved me. Laziness has deadened me. Forgive me, O Lord, and heal my wretched soul. Drive far from me the evil spirit which works within me and which brings to me this unbearable choking of soul and body. Drive far from me the weight of depression from my heart. Free my soul and body from every negligence, laziness, high-mindedness, bloating, depression, faithlessness, indifference, unconsciousness, despair and deadening. I, myself, have brought all these things upon my soul. Forgive, O Lord, the multitude of my sins. Heal me from the multitudes of my passions. Grant, O Lord, that I might not suffer anymore on behalf of the passions which rule my wretched soul. Take up the heavy burden of my sin. Drive away from me every enemy and battle. Grant peace, O Lord to my life and my soul. Cleanse me from every corruption of flesh and spirit, that I might be able to flee from the evil spirits which worked this darkness and cloudiness within me, along with desperation and hell. Lift me up from my bed of pain, and pallet of evil. The depression and the fear and the slavery of my thoughts, drive away from me. Lord, let Your will be done as You desire. With Your Graciousness and Goodness, trample down my enemies and the old man, together with its passions and desires. Lord, let Your will be done within me, that I might rejoice and exalt, without sorrow, and with joy follow You and glorify You, hymning and blessing You unto all the ages. Visit and strengthen me through Your Providential Power, that I might glorify and chant unto You, the Compassionate Lord, together with the Father and the Spirit unto the ages. You, my Comforting [Jesus], together with the Great and Surpassingly-Compassionate Father and the All-Comforting Spirit, come and find me, among all the trials all the days of my life. Have mercy on me, O Lord, and forgive my saddened and distressed soul and body. You are the Joy and the Light, the Resurrection and the Life, the Spring and our Joyous Pascha. For You told us: "Him who comes to me, I will by no means cast out". 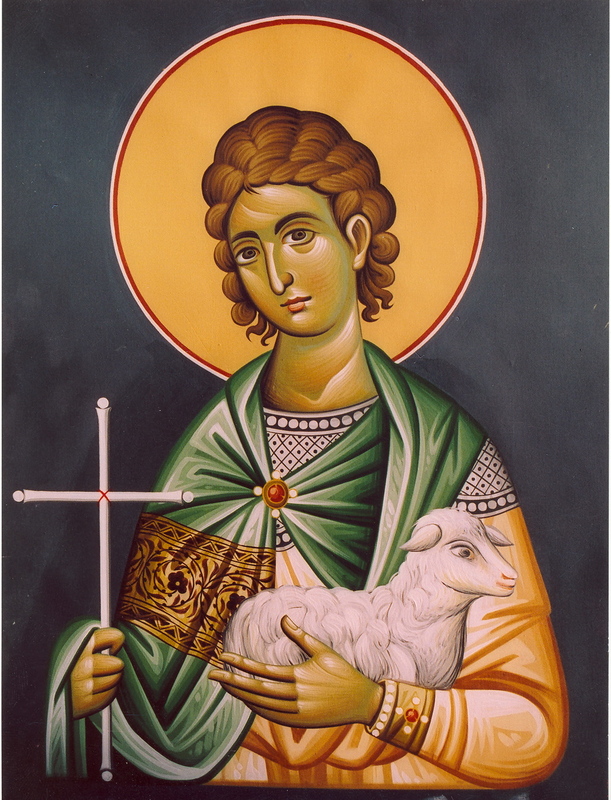 You are He Who descended to the "storehouses of Hades", to seek the lost sheep, that is me. Have mercy on me, through the intercessions of Your All-spotless Mother, the All Surpassing Joy of All. through the power of Your Precious and Life-giving Cross, the Tree of Life, through the intercessions of the Precious Heavenly Bodiless Powers, through the intercessions of the Holy Archangels Michael and Gabriel, through the intercessions of Your Holy glorious and all-praised Apostles, the Holy glorious and victorious Martyrs, our Venerable and God-bearing Fathers, and all Your Saints. Amen. O Greatly-merciful Master, Lord Jesus Christ, have mercy on me and cleanse me from every sadness and disturbance and cowardice. Drive away from me every spiritual choking and demonic sorrow, that I sense in my body and my soul. For You are our Joy, and the Jope of all the ends of the earth, adn those far off at sea. Be merciful to me, O Master, upon my sins. Take from me the heavy burden of sin and despair. Drive far away from me every sadness and laziness. Confirm me in Your Love, and with unassailable hope and unshakable faith in You, through the intercessions of Your Spotless Mother, and all Your Saints. Amen. From the book: The Passions and Depression---What are they, and how are they healed?, by Hieromonk Sabbas the Athonite. Amateur translation of text from here.